Why The End Of Panda? After 29 updates spanning five years, Google has incorporated the notorious Panda into its core algorithm. We recap on the history of Panda since 2011. Recent reports suggest that Google Panda has now been incorporated into the search engine’s core algorithm following almost five years of updates. Google prides itself on being able to return relevant search page results to users who have typed in any given key phrase. Over the years, as webmasters have become more informed about SEO (search engine optimisation), some tried to play Google at its own game. 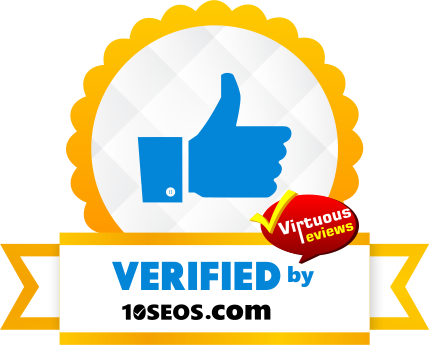 They attempted to cheat their way into gaining great search positions by putting in little effort and giving site visitors very little value. Google Panda was an algorithm update that the search engine introduced in February 2011. It was a method used by Google to reward content-rich websites that offered relevant information to users, by promoting their websites higher up the SERPs (search engine results page). In the process, this also meant that some low-brow sites were pushed much further down the rankings. Some of these sites included link-farms and low-quality sites that existed purely to make money and were not considered by Google to provide a positive or relevant experience for users. Many sites were actively penalised by Google too, simply for having too many low quality pages. Of course, the problem with the Panda updates or any algorithm refreshes, is that some websites which were not practising black-hat techniques ended up being negatively affected by the changes. In the 4.0 Panda rollout, big sites such as eBay and Yellow Pages lost significant traffic overnight following the updates. They then had to spend time updating the SEO of their site in order to recover from the Panda penalty that Google had applied. In total, there were 29 shake-ups of the Panda algorithm, with each update applying changes aimed to hit or support various types of websites. The 4.1 Panda update that we reported on was designed to give more exposure to small and medium businesses who were compliant with the Google guidelines. Whilst Google usually remains secret about its algorithm, they do normally provide webmasters with a great deal of information on what they expect from a web page or site. Above all else, they want to provide a quality web search experience for users. Therefore, Panda updates were always about making sure that your on-page content was of high quality and did not contain thin content. Thin content is Google’s term for pages that may have few words, duplicate content or unhelpful information. Examples include product pages that have no unique descriptions and articles that are published on other websites. Websites with empty product category pages also cause problems – this is often seen in poorly managed eCommerce sites. Related: How Will The £2.1bn Google Shopping Penalty Affect Your Business? Google also updated their search quality guidelines last month, which gave webmasters useful information on how each web page must have a satisfying amount of high quality ‘Main Content’ (MC). It seems that, for now at least, Google is satisfied with the strategies it is utilising to evaluate their page quality control. SEO is constantly evolving and the changes over the past few years are actually benefiting new businesses by creating a more level playing field. SEO used to be an arms race to see who could get the most links, but today, new websites can rank quickly by creating engaging product pages and adopting a content strategy that is designed to capture the market. Panda being incorporated into the core algorithm may mean the end of some shake-ups for a while, but when it comes to Google and the world of SEO, nothing remains static for long, so watch this space.